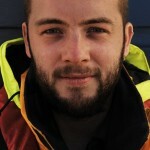 Martin is the full-time coxswain and AWB mechanic and can be found at the Boathouse on most days! 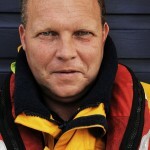 He is the only member of the crew who is paid by the RNLI as a Rhyl crewmember though like everyone else he puts in hours of his own time every week. Puts his energy to good use trying to keep everyone else on the straight and narrow. Martin was awarded the MBE by HRH Prince Charles at Buckingham Palace in March 2017. 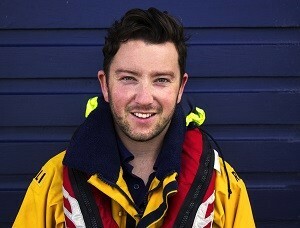 Occupation: Full-time RNLI Coxswain and Mechanic. 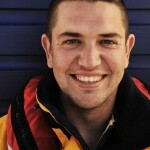 Like many of the crew, Paul has grown up with the RNLI, as his father was on the crew for many years. As well as a well experienced lifeboatman, Paul is a technical whizz – he could talk to you for hours about how the radar works so be warned! 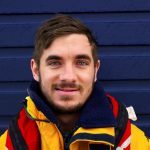 He puts this to good use as an RNLI system engineer, travelling around the area repairing and maintaining lifeboats and associated kit. 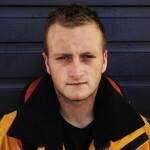 Occupation: Full-time RNLI Systems engineer. Jimmy is known throughout the RNLI, and is a regular visitor at many other stations where he undertakes ‘relief mechanic’ work when they have absent crew. 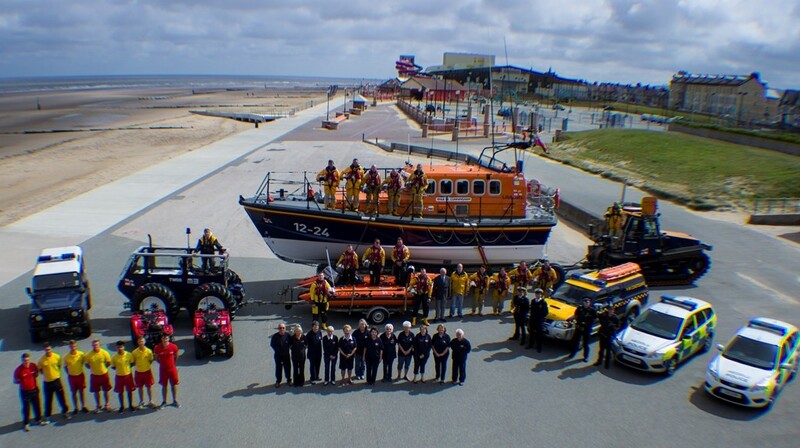 However, his home station is Rhyl, and from time to time he returns to us before visiting our RNLI cousins at other stations near and far. 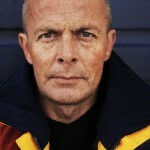 As ‘Head Launchman’ Colin oversees the launch and recovery processes of the All Weather Lifeboat. This ensures that launch and recovery, which are inherently dangerous procedures, are undertaken efficiently. 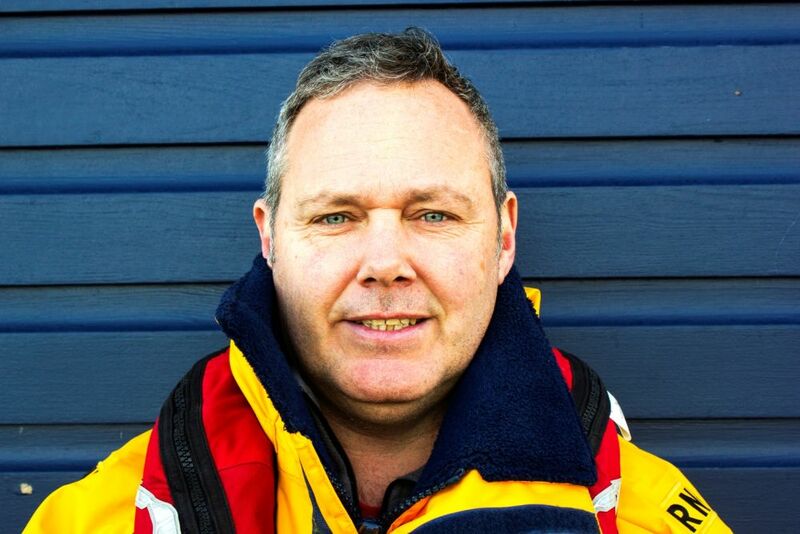 Colin stepped down from his role on the ALB as a crewman in 2015. Derek (or Dimmo) as most people know him, joined the crew in 1989 after being a beach lifeguard for many years. Derek was a crew member on the ILB for many years and is currently our main tractor driver on the large Talus tractor which is used to launch the All Weather Lifeboat. In this role Derek also helps train any new tractor drivers. 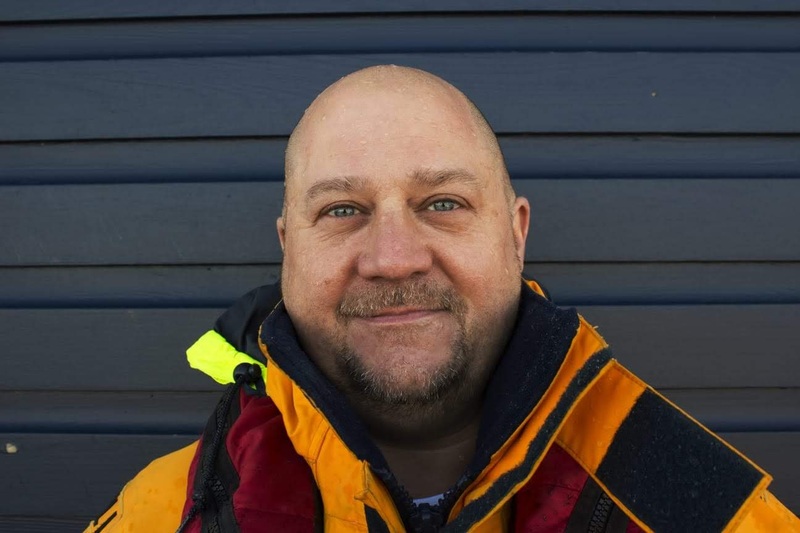 Dimmo is still a crew member onboard the All Weather Lifeboat and continues to go out on exercises and services when other tractor drivers are available to launch the boat. Derek also has the role of Visits Officer at Rhyl, often showing large groups of school children and other groups around the station and boats as well as giving sea safety advice, in 2018 Derek showed approximately 1500 around the Station (although not all at the same time). Darrell joined the crew in 1994 after seeing the boat being called out. 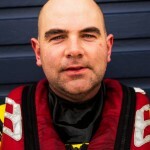 As one of the helmsman on the stations inshore lifeboat Darrell is in charge of the boat during launching, at sea and when she is being recovered and made ready for the next rescue. The helm is responsible for the safety of the crew on board and for everything that happens during a rescue. 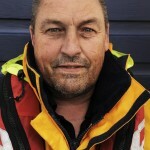 Darrell sometimes stands in for Coxswain/Mechanic Martin Jones as an emergency Mechanic on the All Weather Lifeboat. 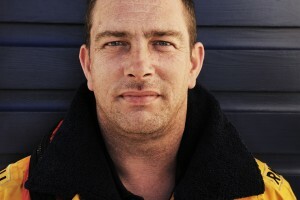 In 2009, Darrell joined the RNLI’s National Flood Rescue Team and soon after(the next day) was part of the team that was deployed to Cockermouth in Cumbria. Mark joined the crew whilst working for the local council leisure services on the promenade, including the beach lifeguards. 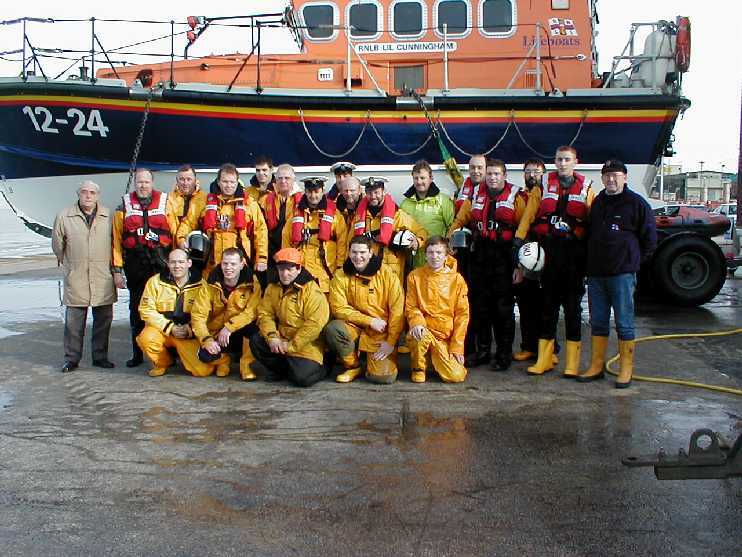 Andrew joined the crew in 1998 after talking about the lifeboat with a local swimming club family friend Paul Frost. 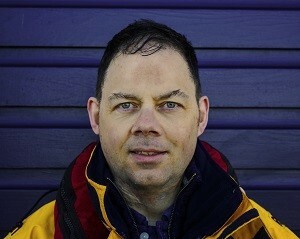 Andrew worked his way through from being a crew member on the All Weather and Inshore Lifeboats, to a Helmsman on the Inshore Lifeboat and Navigator on the All Weather Boat, and in 2011 became a Deputy Second Coxswain at the Station, standing in for Coxswain Martin Jones when he is unavailable. 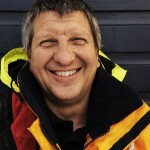 Definitely a colourful character, usually with a broad grin on his face, and usually busy winding up other crew members! Equipped with a strong pair of hands when needed. 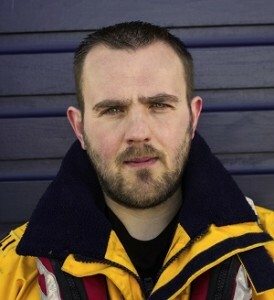 Callums dad served as crew and coxswain for over 20 years, and Callum grew up on the station. 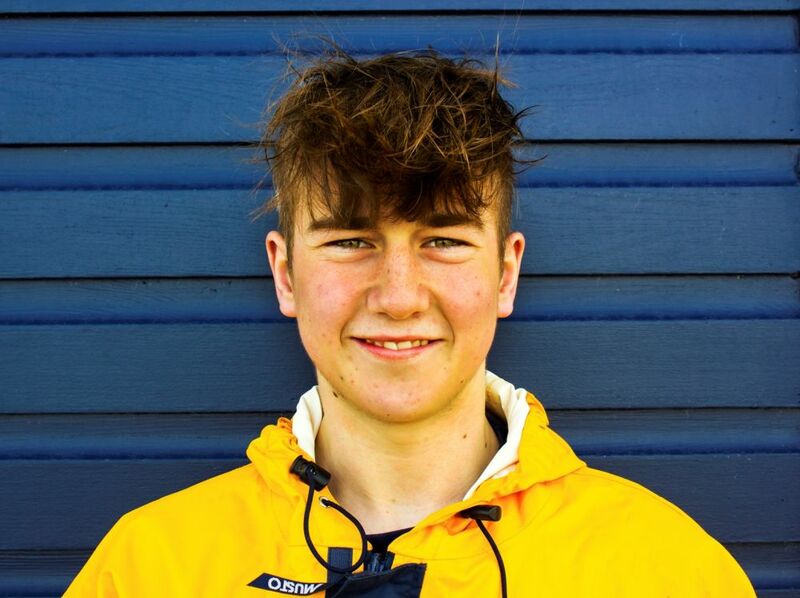 He started helping out cleaning the boats and station when he was about 11, and couldn’t wait for his 17th birthday to be allowed to join the crew. Callum is also Deputy Press Officer on station. Vinny first came to the station on an open day in 1995 when he was just 14 years old. He realised then that it was something he wanted to be a part of and started coming down regularly helping to clean, polish and maintain the boats. 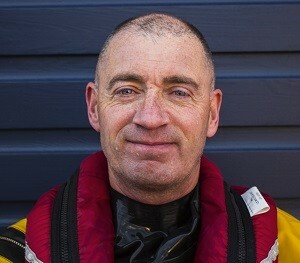 Vinny is now one of the Helmsman in charge of the Inshore Lifeboat, and a crew member, navigator and emergency mechanic on the All Weather Lifeboat, currently on a Coxswain’s training plan. 13. The Rhyl crew do not use position 13. Colin is one of the first to get to the Boathouse for a shout, working just across the road, and living not much further away. Spectacularly failed on one of his first exercises as an ILB helmsman by launching into a gulley, which we remind him about from time to time, though of course he insists it was the tractor drivers fault! 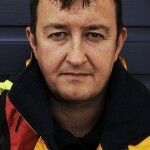 Damian joined the crew in 2007 after working with one of the stations crew members and becoming interested. Damian is one of the true characters on the station always making the rest of the crew laugh. 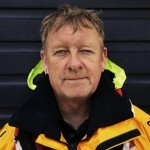 He is currently a crew member on both the Inshore & All Weather Lifeboats. Occupation: Aircraft Fitter at Airbus. 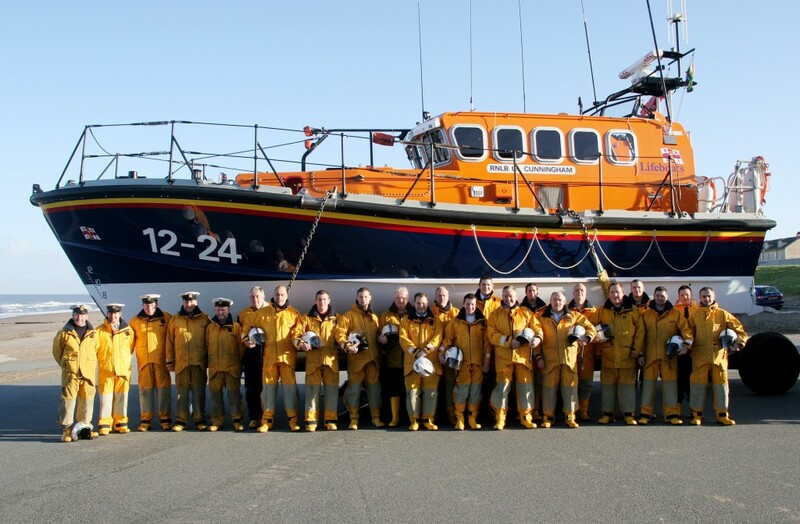 Kevin was working at a crew members house and got talking about the lifeboat station, after this he came down to the station to have a look around and joined in 2008. 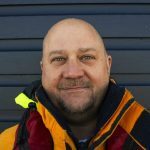 He is currently a Crew Member on the All Weather Lifeboat, all crew members have a huge amount of training in various tasks that they carry out on the station, including recovering the 14 ton All Weather Lifeboat back on the beach and onto the carriage. 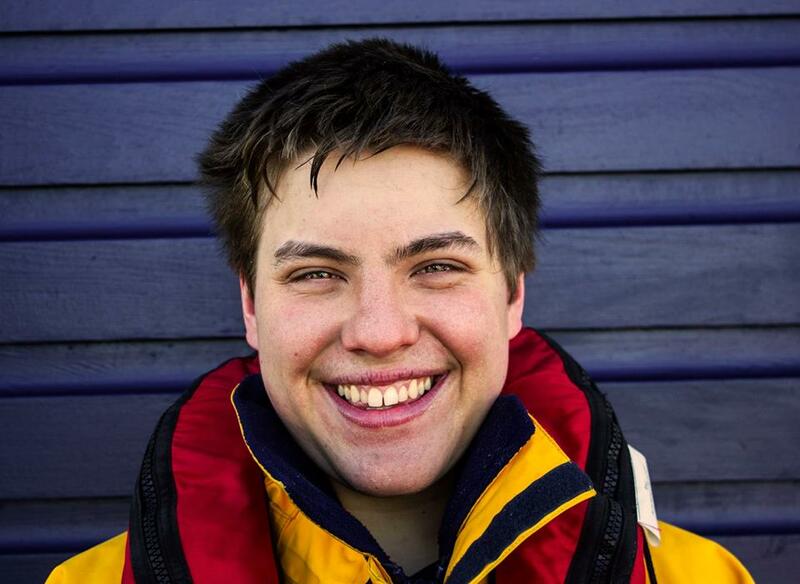 Following in his father’s footsteps as a crew-member, Jamie has helped out in the Boathouse before becoming old enough to join the crew. 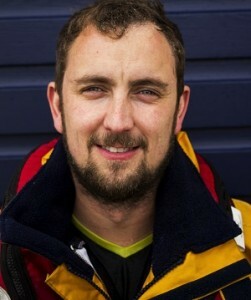 A great crew member to have aboard on a rough service as he’s always prepared and a good ILB boat-handler. Being the station Medical Advisor, Chris takes a lead in all things health related and makes sure the Rhyl team is at the peak of RNLI First Aid ability. Like most of the ALB navigators, he has a love-hate relationship with the antiquated navigation equipment on the ALB. Bob has settled in North Wales. Like all good Yorkshire folk, he’s not afraid of hard work and can often be seen with his sleeves rolled up, getting his hands dirty. Occupation: Public Health Practitioner with the local health board. Tara joined the crew in 2009. 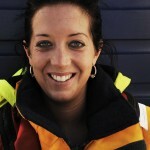 Tara is a crew member on the All Weather Lifeboat, and is in training on a Navigator’s plan. 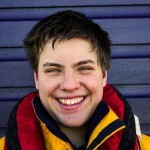 Tara like all lifeboat crews, is fully trained in all aspects of the lifeboats operations, from deck work to casualty care, including administering pain relieving gas (Entonox) and using multiple types of stretchers. Occupation: Service sector supervisor in a large frozen foods company. 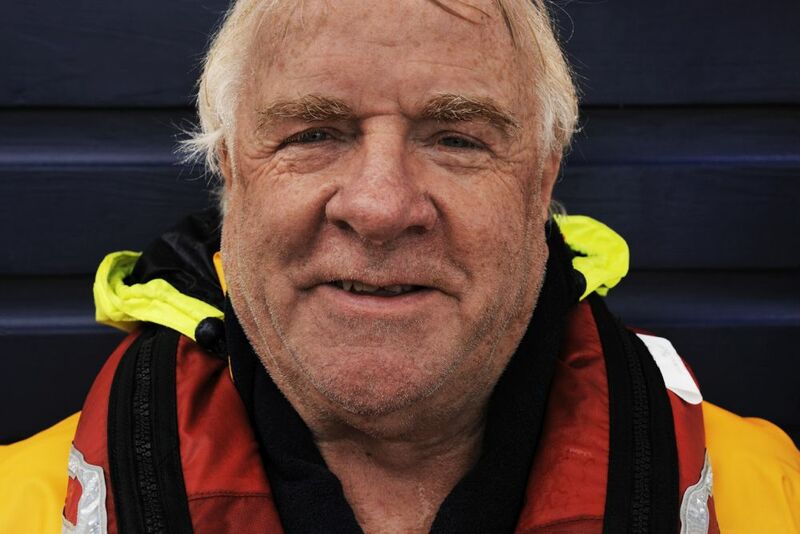 Chris joined at the end of 2012 after spending a lot of time at the Rhyl Yacht Club. 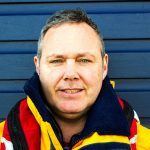 Chris is currently working his way through his competence based training on both the Inshore Lifeboat and All-Weather Lifeboat. 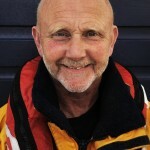 Dougie joined in 2013 on both the All Weather and Inshore Lifeboats. 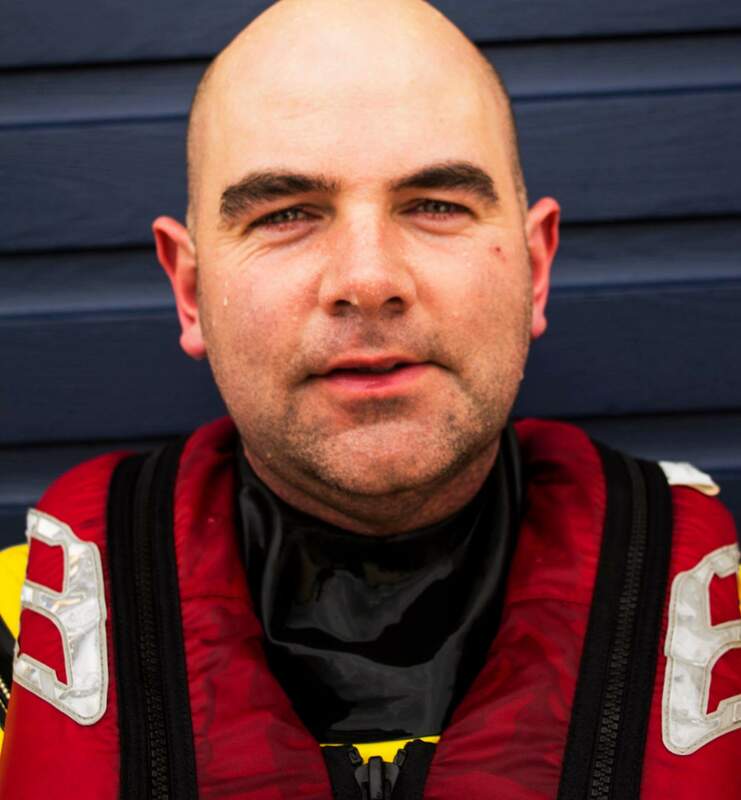 He passed his helm assessment for the ILB in February 2019 and is now a helmsman. 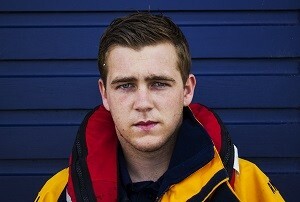 Was previously a Rhyl crew member until moving from the area. Now he’s moved back to Rhyl and rejoined the crew. Currently working through his competency based training to refresh his prior knowledge. Mathew is the son of Bob (see above) and started coming down with his father at every opportunity . 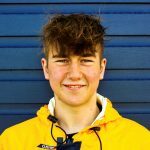 Mathew has passed his Royal Life Saving Society beach lifeguarding competencies, and is employed as a RNLI summer lifeguard on Rhyl or Prestatyn beaches when not attending University. 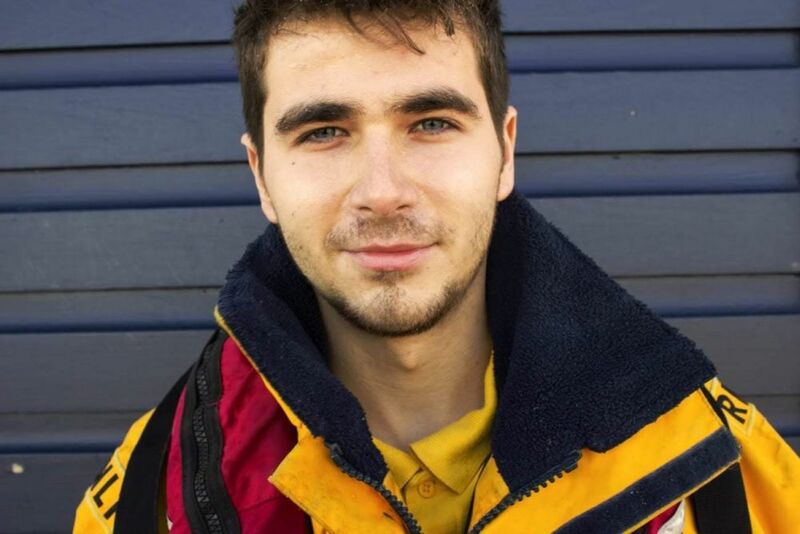 Occupation: University Student and RNLI Lifeguard. 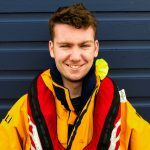 Charlie joined in January 2018 after spending a few summers as an RNLI guard. 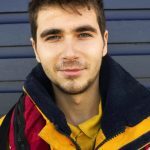 He is currently working his way through the many units of the RNLI’s Competency Based Training, this can take up to a year to complete. 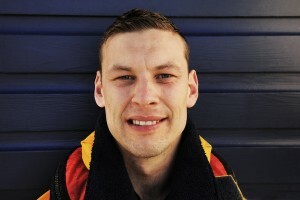 Occupation: Swimming Teacher & RNLI Lifeguard. Enrolled January 2018. 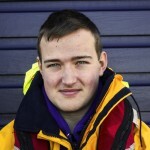 Presently completing his competencies to become a full crew member. Occupation: Trainee Ambulance Technician with the local health board. 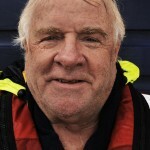 We are absolutely delighted to have Harry as an honorary member of our crew. 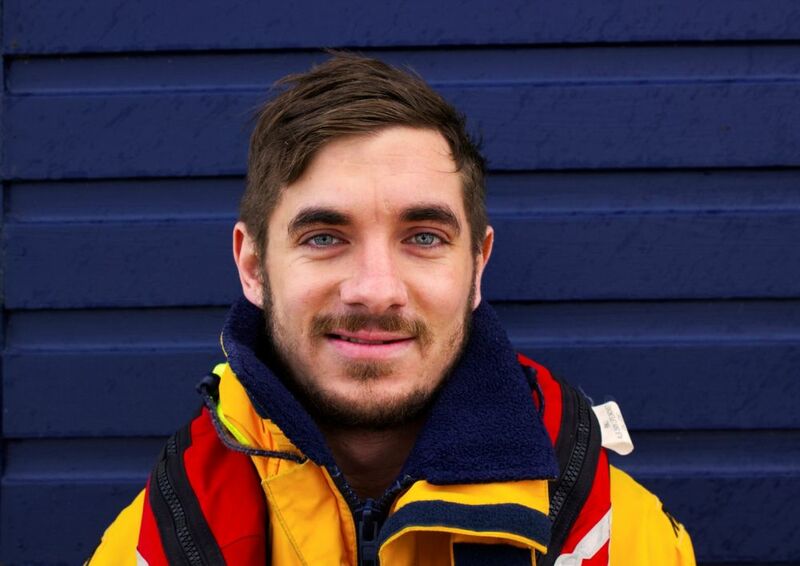 Harry accepted our invitation and joined our crew officially on 7th June 2015, after visiting the station on a number of occasions to support us. 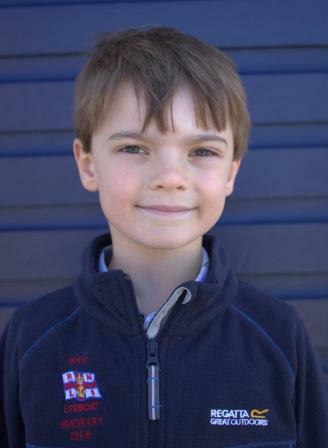 Harry is on a mission to visit every RNLI station, raising money for the RNLI on his travels and so the crew are really pleased to be able to help him achieve this, knowing that we are one of his favourite stations (if not the favourite)! 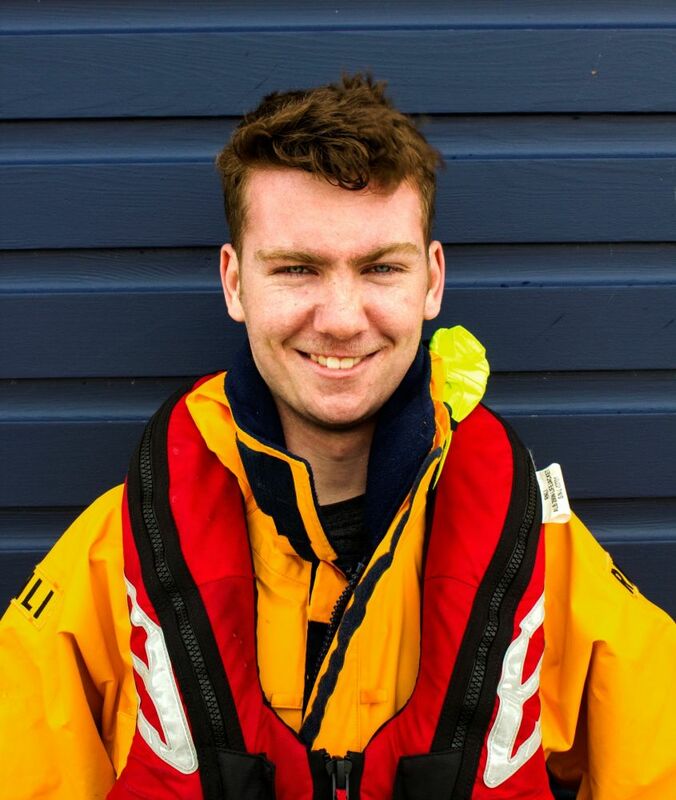 Evan is one of our newest crew members, he is currently working his way through training to become one of our tractor drivers, and in turn will train on the brand new SLARS rig used to launch our new Shannon Class All Weather Lifeboat when it arrives in 2019. In late 20418 he expressed a wish to become boat crew, and so is now a probationer. Joined December 2018. In his probationary year, learning all the skill competencies to become a full crew member. 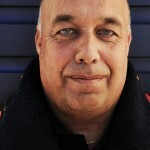 Gordon is one of the station characters, having served with the RNLI since the 1970’s. Well known to voice his opinion on a wide range of topics, whether you want it or not! Peter Robinson, Martin Jones, Paul Archer-Jones, Paul Frost, Jimmy Quinn, Jeff Dyson, Colin Clews, Darrel Graham, Reeve Turner, Gordon Williams, Marc Newman-Carty, Darrel Crowther, Callum Robinson, Vinny Jones, Derek Denton, Simon Rooney, Mark Budd, Mike Leitch-Devlin, Leigh Clayton, Colin Jones, Damian Cavanagh, Cameron Treadwell and Rick Jones-Abass. Missing from photo were Andy Wilde, Kevin Taggart, Jess Myatt and Jamie Edwards.